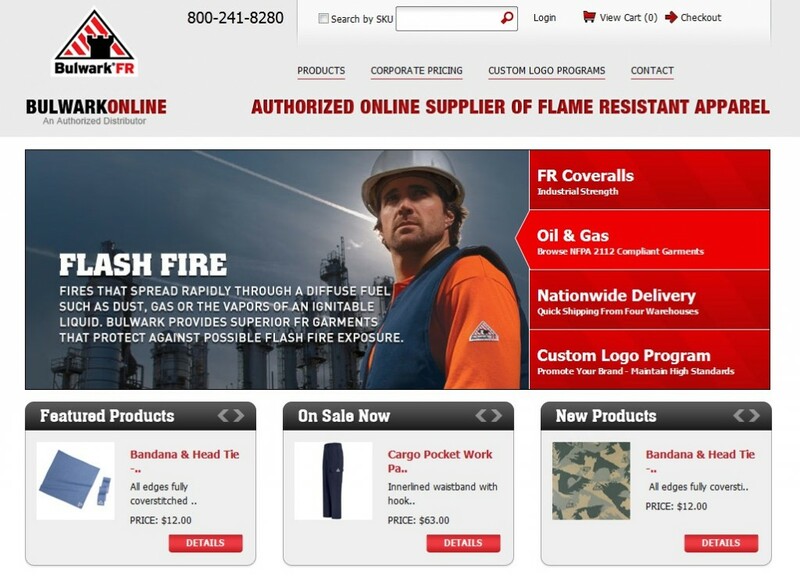 BulwarkOnline is an eCommerce website that specifically sells Bulwark brand fire resistant apparel. Although BulkwarkOnline was the most out-of-the-box ASPdotNet Storefront project I’ve personally worked on it was strategically designed to be simple and to just drive sales. The key to this project was designing the website to be super simple and easy to navigate. Because of this websites simplicity we were able to complete the entire project within 30 days which is extremely fast for a full featured eCommerce website (standard is 60 – 90 days).